MANAMA, BAHRAIN – 14 May 2018 – Ithmaar Holding B.S.C., a Bahrain-based financial institution, and its wholly-owned subsidiary, Ithmaar Bank B.S.C. (closed), a Bahrain-based Islamic retail bank, each announced their financial results for the first quarter of 2018 with both reporting profits for the period. 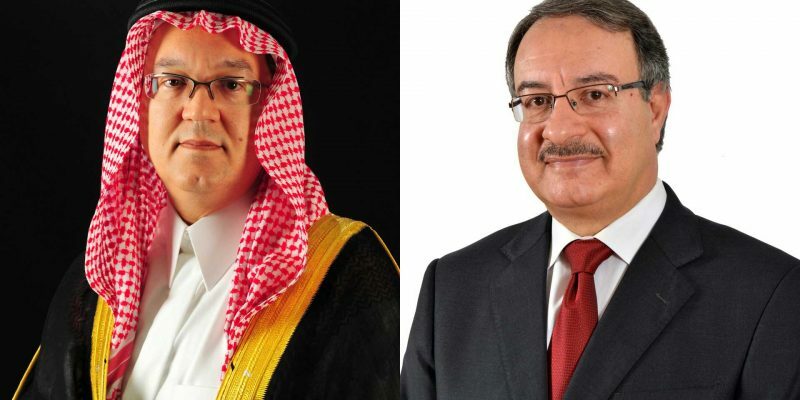 The announcement by the Ithmaar Holding Chairman His Royal Highness Prince Amr Al Faisal, who is also the Ithmaar Bank Chairman, follows the review and approval of both Board of Directors of the consolidated financial results for the three-month period ended 31 March 2018. The Ithmaar Holding reported a net profit of US$4.81 million for the three-month period ended 31 March 2018, a decrease of 16.9 percent compared to a net profit of US$5.79 million for the same period in 2017. Net profit attributable to equity holders for the three-month period ended 31 March 2018 was US$1.66 million, an increase of 187.8 percent compared to the US$0.58 million net profit reported for the same period in 2017. Earning per share (EPS) increased to US cents 0.06 compared to 0.02 for the three-month period ended 31 March 2017. “On behalf of the Ithmaar Holding Board of Directors, I am pleased to announce that the financial results show that the unwavering focus on our core retail banking business continues to pay off,” said HRH Prince Amr. “Our total income for the three-month period ended 31 March 2018 increased to US$112.42 million, a 5.6 percent increase from the USS106.49 million reported for the same period last year, mainly due to income from investments. Consequently, our operating income for the three-month period ended 31 March 2018 increased to US$72.16 million, a 5.6 percent increase from the US$68.34 million reported for the same period last year ,” he said. Ithmaar Holding Chief Executive Officer, Ahmed Abdul Rahim, who is also the Ithmaar Bank Chief Executive Officer, said the results of both the company and the Bank were encouraging and reconfirm that efforts to turn the Group around are paying off. “Ithmaar Holding’s total assets stood at US$8.29 billion as at 31 March 2018, compared to US$8.61 billion as at 31 December 2017, and remaining stable compared to US$8.30 billion as at 31 March 2017,” said Abdul Rahim. “Total owners’ equity stood at US$233.48 million as at 31 March 2018, a 34 percent reduction compared to US$355.33 million as 31 December 2017, mainly due to early adoption of the new Financial Accounting Standard (FAS) “Impairment, credit losses and onerous commitments” that was issued by the Accounting and Auditing Organisation for Islamic Financial Institutions (AAOIFI),” he said. “I am pleased, also, to report that Ithmaar Bank’s financial results show a net profit of BD2.03 million for the three-month period ended 31 March 2018, compared to a net profit of BD3.08 million for the same period in 2017. Net profit attributable to equity holders for the three-month period ended 31 March 2018 was BD0.832 million, compared to the BD1.14 million net profit reported for the same period in 2017,” said Abdul Rahim. “Although core income continued to grow during the period, operating income was lower by 9.5 percent mainly because 2017 capital gains by the Bank’s subsidiary in Pakistan, Faysal Bank Limited, during the previous period,” he said. “Ithmaar Bank’s total assets stood at BD3.11 billion as at 31 March 2018, compared to BD3.24 billion as at 31 December 2017 and are stable compared to BD3.11 billion as at 31 March 2017,” said Abdul Rahim. “Meanwhile, despite market conditions, the equity of unrestricted investment account holders stood at BD1.063 billion as at 31 March 2018, increasing 6.4 percent compared to BD0.999 billion as at 31 March 2017 but are stable compared to BD1.064 as at 31 December 2017. Total owners’ equity stood at BD101.2 million as at 31 March 2018, a 34.6 percent reduction compared to BD154.6 million as 31 December 2017, mainly due to the FAS 30 impact of previous period recognized in equity,” he said.